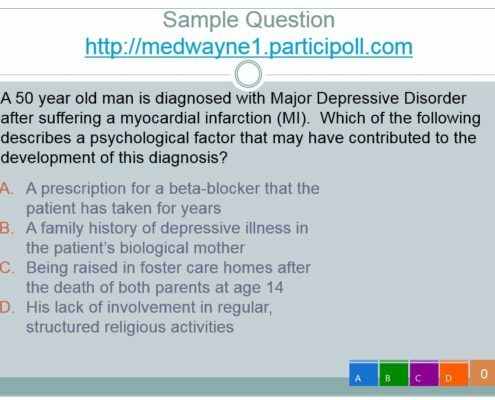 Wayne State University School have purchased multiple licenses for ParticiPoll and are now actively using audience polling as part of their medical program to increase engagement with students during their live lectures. 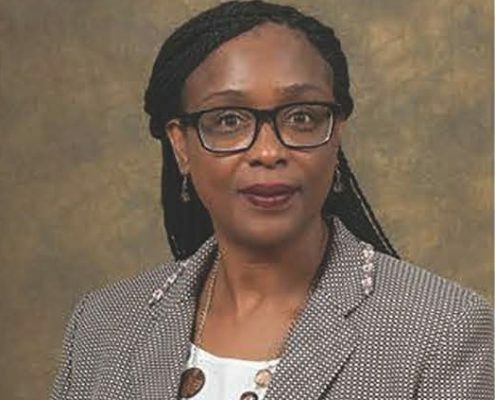 LaTonya Motley, Instructional Technology Designer and a member of the Medical Education Support Group shares some insight on how they have integrated ParticiPoll into faculty teaching and learning at the Medical School. 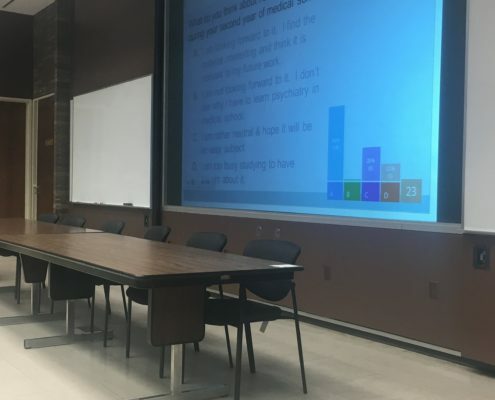 Polling is used widely at our Medical School, and we are looking to make the process as simple and seamless as possible. Some of the technologies we have used in the past have been challenging to use at times, such as the deployment of clickers and other technologies where students have to log in or use some type of hardware. ParticiPoll has made polling really simple and seamless: the lecturer already has the questions prepared for their lectures, so they just have to insert the Participoll polls into Powerpoint. We share a link/web address to the poll on the slides and students use their own mobile devices to participate anonymously. You mention that polling is conducted often on your campus, what are the typical class sizes? Our class sizes vary, we often have big groups participating with up to 150 students. We also sometimes have smaller groups with as few as 11 people. Electronic polling with ParticiPoll is scalable. Have you had any issues with the technology, with people not being able to poll? There have been few instances, but it’s often the individual who needs help getting used to the technology, rather than the technology itself. We have had minimal issues with ParticiPoll if I compare that to previous technologies we have used. It is comparatively much more straightforward to use. How many licences do you have and how to do you manage them? We currently have 10 licences being used across our campus. I usually train new users and they continue to use them as they see fit, I do not get intimately involved in how or where they are using the polling. We have highly skilled and experienced lecturers who understand how to use the tool for their learning purposes. Why did you purchase multiple licences? We started with one lecturer who had experienced the use of ParticiPoll at a conference and wanted to use it. So we purchased one license and ran a pilot to determine the feasibility of using it with other courses. However, she used it regularly and wanted to keep using the licence after the pilot ended. 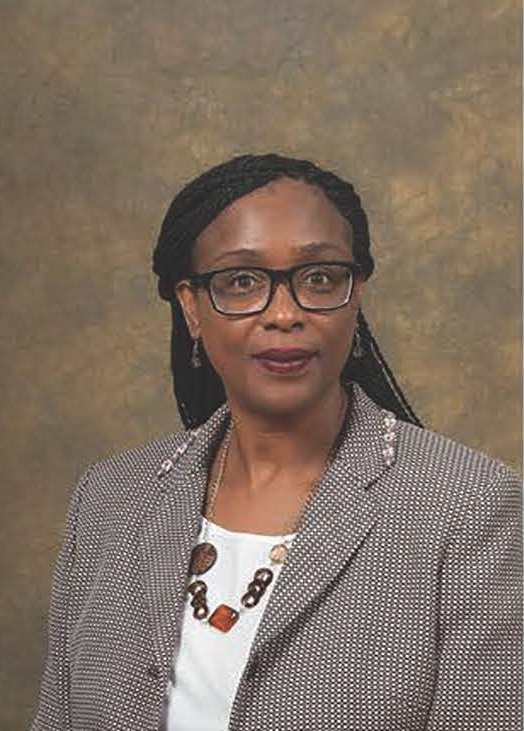 As interest grew in using ParticiPoll polling amongst our lecturers, we purchased a number of licences (as you cannot have two people using one licence at the same time). In some departments we have three people using the same licence. Hence they have to schedule how they use it among themselves. Each of the licences has been handed to what we term as our “Power Users”. These are the lecturers that use audience polling regularly and are confident and proficient. These have become my “go to” people for advice and guidance with using Participoll. Can you give us some examples of how and where polling is being used? Polling is being used in multiple ways. 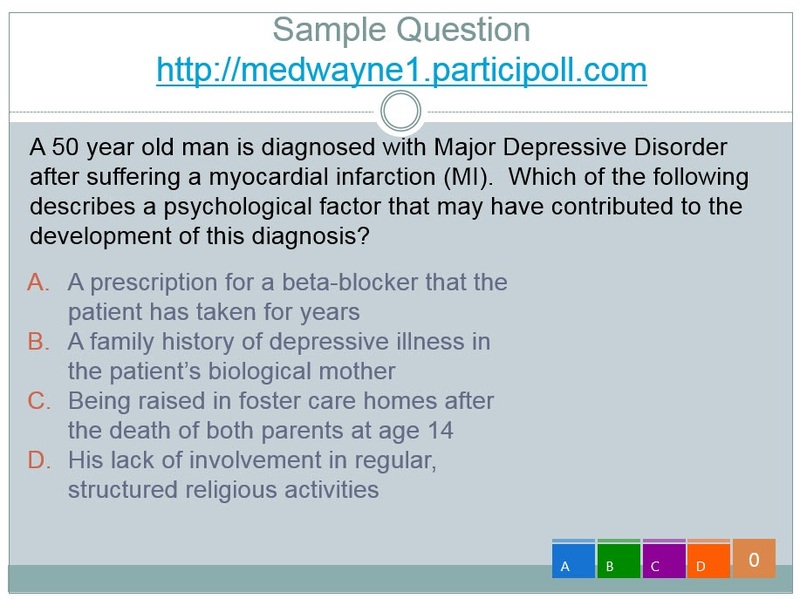 For instance, it is used for Case Studies in some medical lectures where the students are given a series of answers to test their diagnosis of a subject, or vote for a treatment. 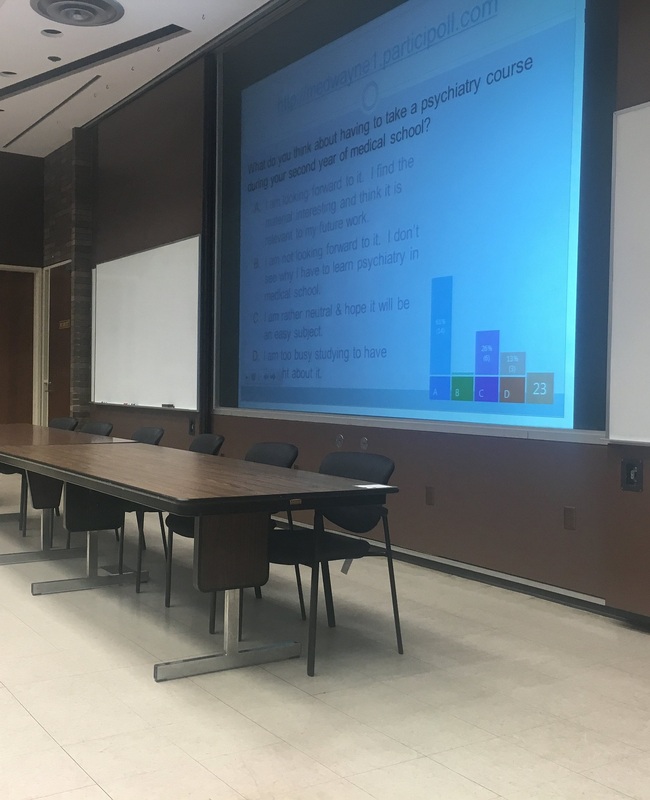 In psychiatry-related courses we have used polling to interpret how the audience feels about a certain topic or situation. What do the lecturers gain from the using polling? Polling can provide interesting feedback for the lecturers. How students respond enables the lecturer to know if the course content is being understood, or to get the opinions amongst students. I know our lecturers often discuss the outcomes from poll questions within the department. ParticiPoll is an anonymous polling system, how does that apply to learning in an academic setting? Some students may be uncomfortable answering questions in a large group because they are concerned that they do not have the right answer to the questions being asked. This is not ideal for creating a safe learning environment. ParticiPoll has allowed us to change this, students now know they are able to answer questions anonymously, hence as I mentioned previously activity levels and engagement levels have gone up. Students are able to use polling to test themselves and their own learning. When we looked at ParticiPoll as a learning technology this one was of the features that we identified as being a benefit to learning. We still use other audience response systems when needed because there are situations where we have to record student information in relation to the answers they provide. In those instances, we use Scantrons or clickers to record the data. You are also using the facility to download live comments/questions? Yes. ParticiPoll allows students to post anonymous comments/questions to the lecturer live during a session. I am quite excited about this feature. This allows the lecturer a number of options to handle the questions. Using a separate laptop (a recent lecturer used this), they can view and select specific questions to answer live during the lecture. If a lecturer chooses not to answer questions/comments during the session due to e.g. time constraints, they have the option of downloading these at the end of the lecture, answering them and sharing the answers with the students afterward. What advice would you give to other academic institutions that are considering using ParticiPoll? If you are looking to simplify your polling activities, you should seriously consider ParticiPoll. If you are looking to increase audience engagement, and activity levels during lectures, this will help you achieve that. If you however you need to collect individual student data for for specific questions in polls, I wouldn’t recommend ParticiPoll because the polls are anonymous. Also, identify your Power Users. These are the lecturers that use audience polling regularly and are confident and proficient. These become your go to people for practical information. They become the person that champion the technology for you, and are able to provide practical information to other lecturers who are considering using polling. And you should actively promote polling across the campus to students. Help them understand how polling is e.g. anonymous and how it can help them improve their learning experience. From a practical technical standpoint ParticiPoll is reliable and can handle large audiences. If your audience will be using Wi-Fi to send the results to the system, then it’s important that you have a good connection especially if you have a large audience size. Be sure you have a strong Wi-Fi connection when making your decision to use ParticiPoll.